the anatomy is gently simplified. The most common cause of rear foot pain is plantar fasciitis. The condition occurs mainly in runners and the older adults. 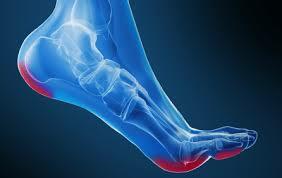 The most common cause of midfoot pain is mid-tarsal joint sprain. Forefoot pain can be cause from bone and joint abnormalities. What Causes Common Foot Injuries ?